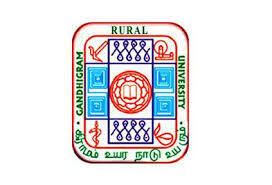 GRI Dindigul Recruitment 2018 2019 Application Form for Data Entry Operator (DEO) Posts Download Application through Official website www.ruraluniv.ac.in. GRI Dindigul Data Entry Operator (DEO) Jobs Notification 2018 Released. GRI Dindigul invites Walk in Interview for appointment in following Data Entry Operator (DEO) post in The Gandhigram Rural Institute. Candidates are requested to Download Application through Official website www.ruraluniv.ac.in. Prospective candidates will have to before Walk in Interview carefully reading the advertisement regarding the process of examinations and interview, eligibility criteria, GRI Dindigul Walk in Date, GRI Dindigul Result Date etc. Interested candidates can attend the interview on 04.07.2018 (Wednesday) at10.00 a.m. along with a brief bio-data and photocopies of their certificates at the Centre for Lifelong Learning, GRI, Gandhigram. No TA/DA will be paid for the candidates who attend the interview.